This finely detailed antique hookah, or huqqa, base has been expertly crafted using a variant of the ancient Indian Bidri technique of metal inlay. 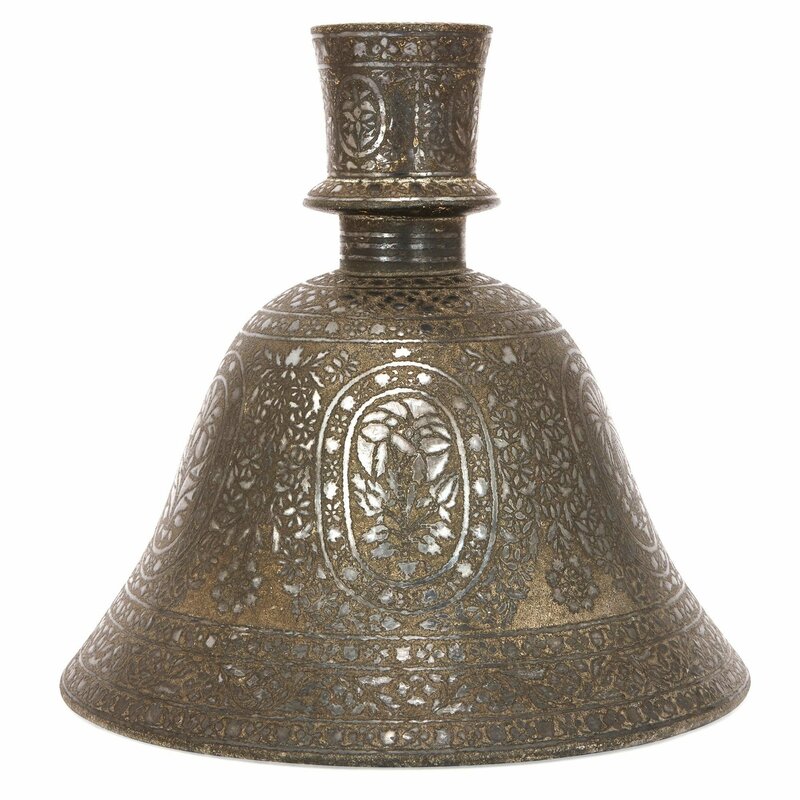 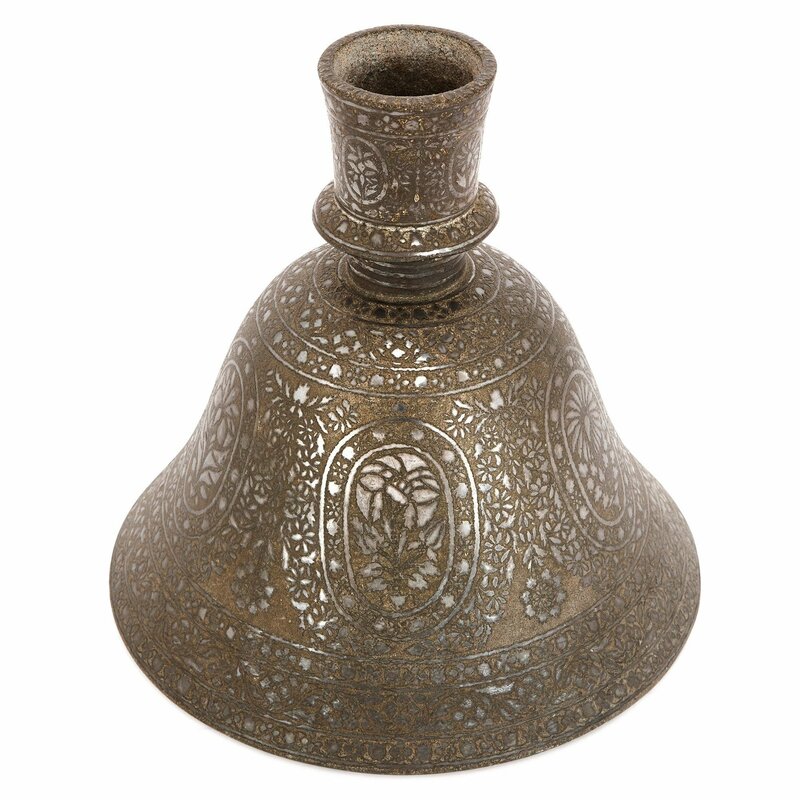 The base is made from a zinc alloy and is bell shaped with an opening at the top for the body of the hookah. 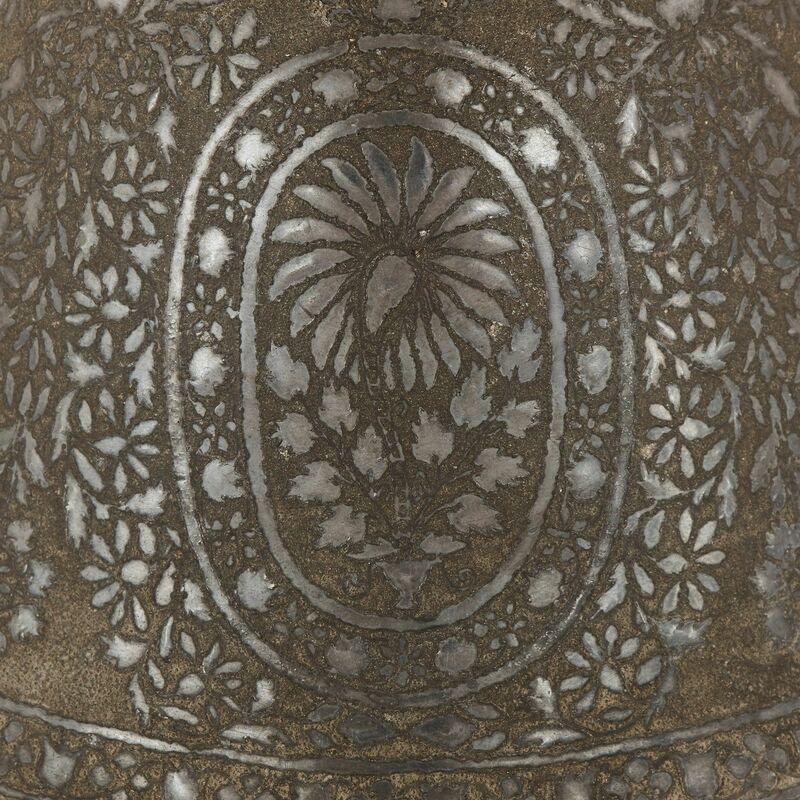 It features intricate floral decorations all over, created using a variant of the Bidri technique, a method for inlaying silver into a blackened metal object, normally a zinc and copper alloy. 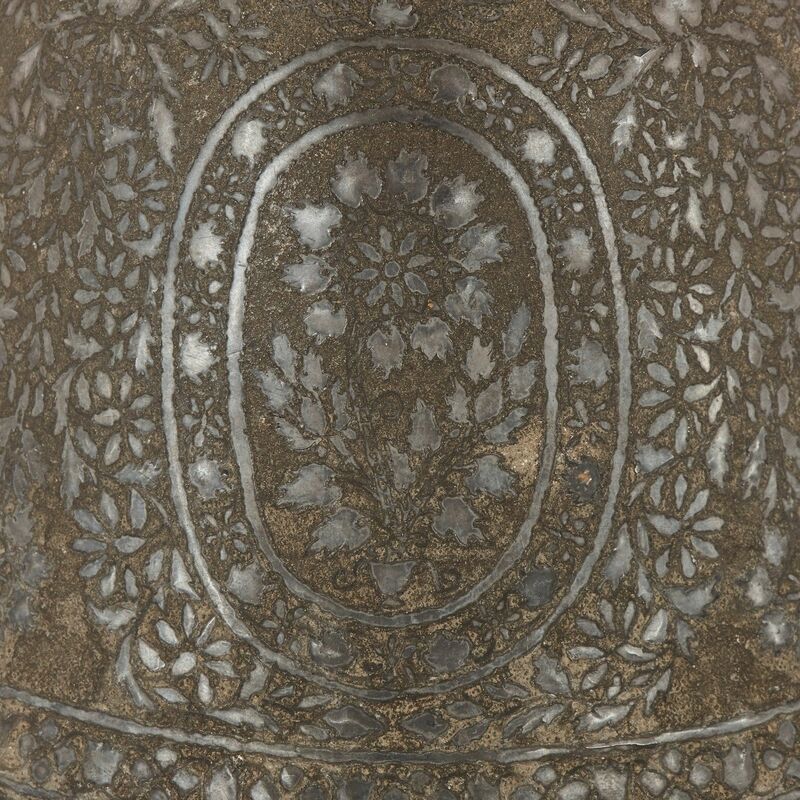 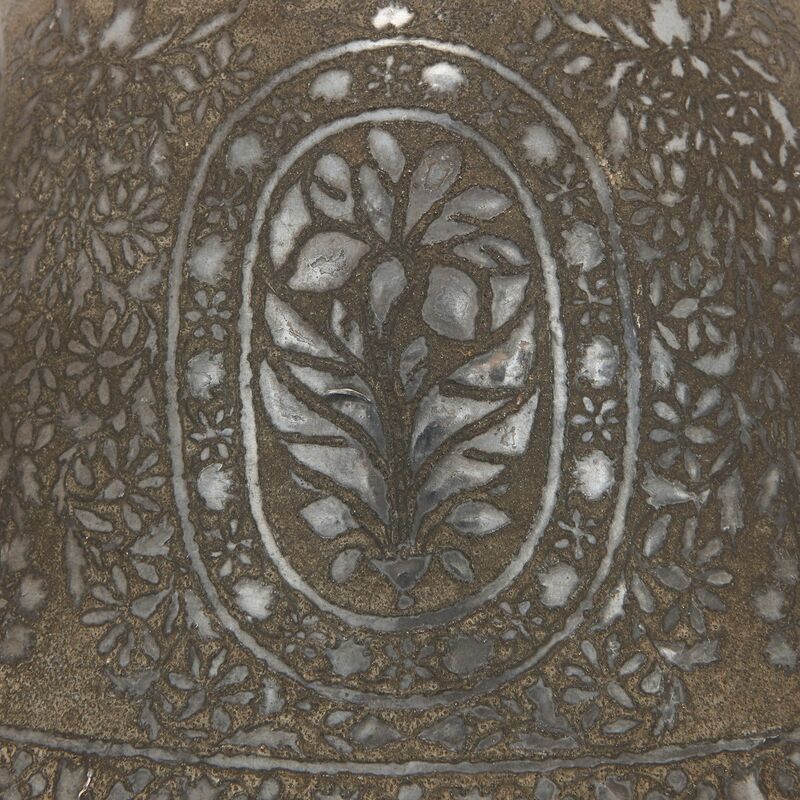 Indian Bidriware is distinctive for featuring intricate silver-coloured surface designs on a darkened metal ground. 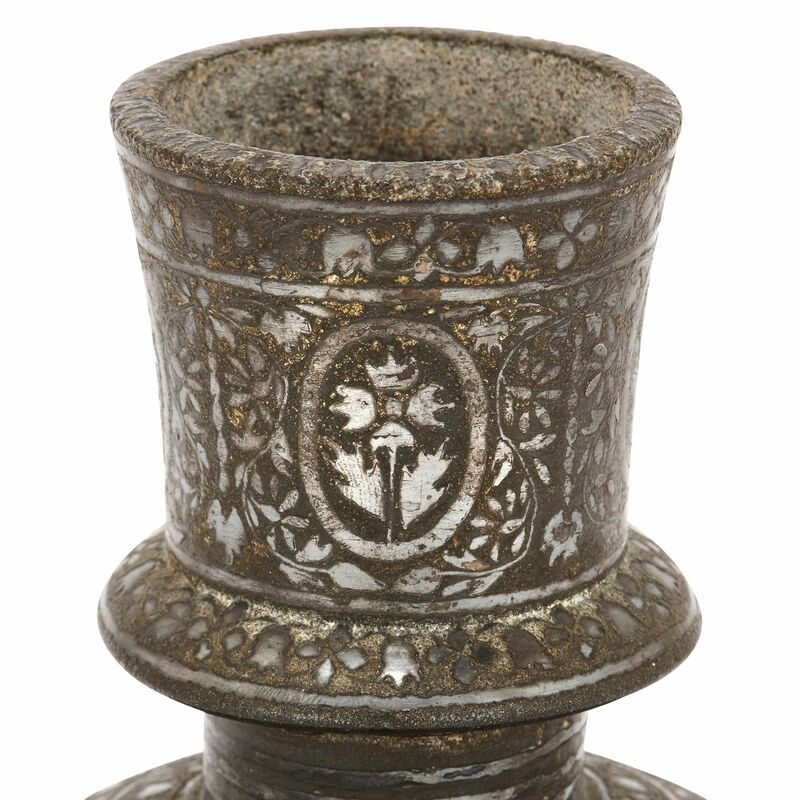 In traditional hookah smoking, the base contains the water which cools and partially filters the tobacco smoke before inhalation.